Astronaut Fred W. Haise Jr., lunar module pilot of the Apollo 13 lunar landing mission, participates in lunar surface simulation training at the Manned Spacecraft Center. Haise is attached to a Six Degrees of Freedom Simulator. 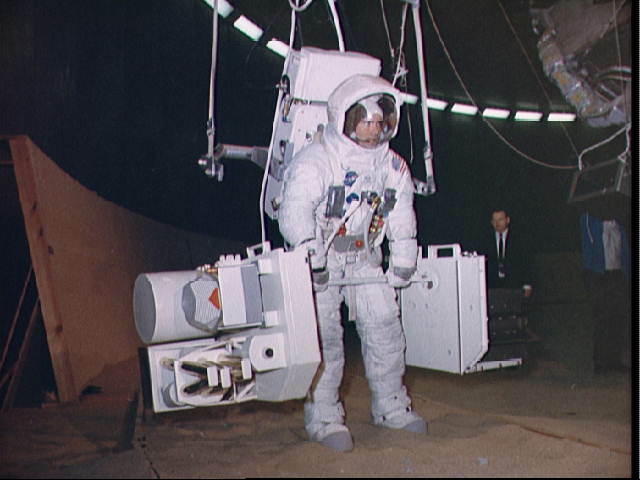 Using mock-ups, he simulates traversing with the two subpackages of the Apollo Lunar Surface Experiments Package (ALSEP) via a barbell mode.